Follow my actual progression on a map: my SPOT shared page. During the upcoming five weeks you can find me in the outdoors of Northern Scandinavia admiring the midnight sun while hiking and packrafting. Normally, this should become my big trip for this year, but due to a recent injury I will not be able to cover a large distance this time. It even remains a big question which exact route I will be following. During the previous trip in the Karwendel mountains I suffered a knee injury caused by an earlier impact. It was difficult for me to tell about it previously, but at the moment I seem to be almost completely recovered. Anyhow, I will need to stay calm the following weeks to prevent a new inflammation. 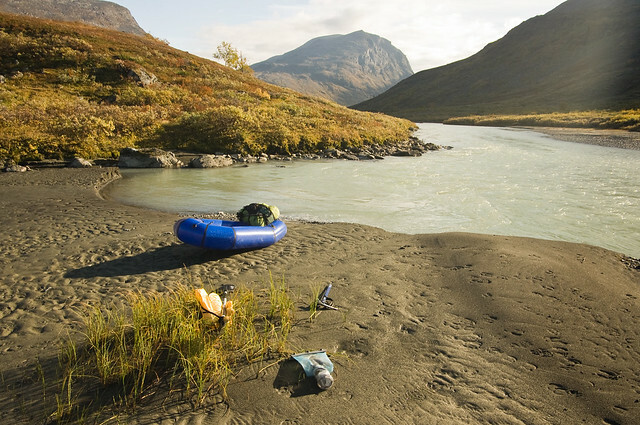 Packrafting the Rahpajåhkå river in Sarek Nationalpark. So I will not announce an exact route planning here on a map, but the idea is to start in Nordkjosbotn at the southern end of the Lyngen Alps in Norway and hike steadily from there to the Swedish border through Signaldalen. Then I want to hike and packraft on the undulating tundra of the extreme north of Sweden and the northwest corner of Finland. The rivers Gobmeeatnu and Poroeno do look as promising opportunities. After some time I enter back into Norway and packraft the Reisaelva river in Reisadalen Nationalpark. 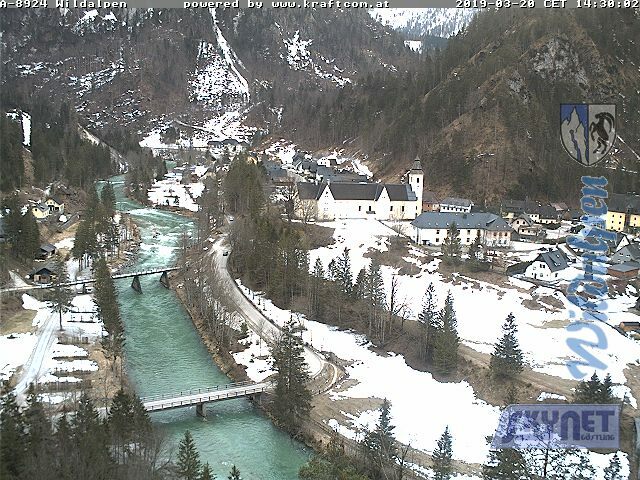 Probably, this river will be floated the whole way to its mouth in the Arctic Ocean. From then on my plans become largely subject to the weather. If conditions are okay I try to make some saltwater crossings over the ocean to the Islands Kågen and Arnøya from where I can catch a ferry to the Lyngen Alps to continue packrafting in the fjords and the lakes around the Lyngen Alps or do some more hiking over there if my knee feels right. An injury should not dampen an entire trip. Every trip is a new occasion to try out new gear or techniques and on this trip it will not be different. I’ve never been fishing on a trip ever before, so this time I will take the time to try my luck in the rivers. I bring some fishing line and jigs with me. No rod because I don’t want to carry too much weight. Chances are probably higher to catch a midge than a fish with this setup and my clumsy fishing skills but hey, the goal is to amuse myself. And in case I would catch something, it will be a challenge to prepare the fish above my home made woodgas stove for a special meal. 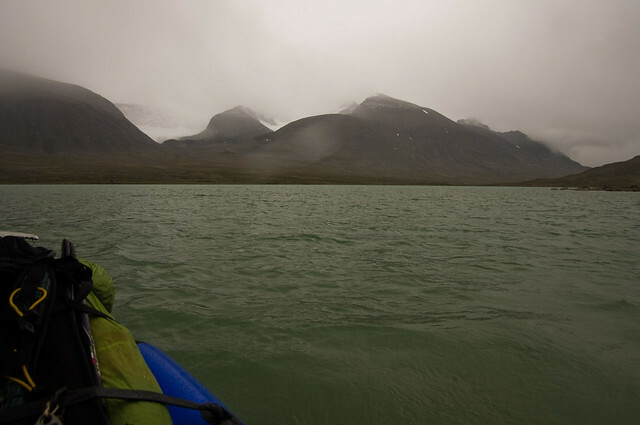 Paddling on the lake Liehtjitjavrre in Sarek Nationalpark. Big open water crossings will be new also with my packraft, at least saltwater crossings. I already did a few open water crossings on an earlier trip in Sarek where I crossed two lakes but the fjords and narrows will definitely be more challenging this time. Beside the wind and waves, tidal currents are also an important factor to check out. Because I don’t want to take any big risks on those possible saltwater crossings I’m assisted with meteorological information by my collegue and meteorologist Kris Ghijselinck. He will be supporting Wim Smets on its K2 expedition at the same time by the way! Despite that I had to change my first plans for this big trip, (I wanted to concentrate on hiking in the Lyngen Alps in the first place) I’m still excited to discover this region above the polar circle during the early summer. I’ve never experienced the midnight sun ever before. 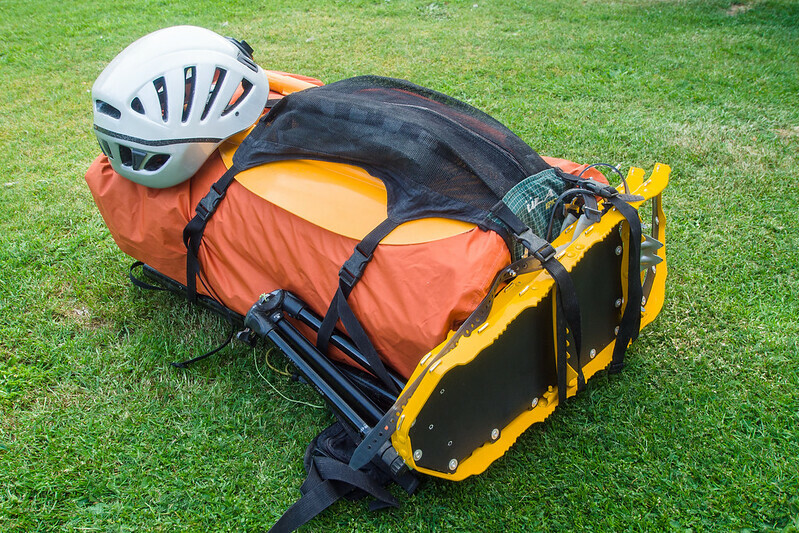 A packraft is a great invention and a grateful alternative in case you are not able to do some more hiking. 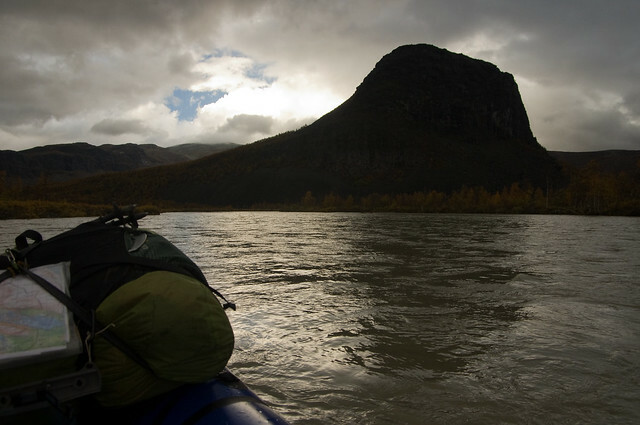 Packrafting the Rahpaädno river under the dark face of the mountain Nammasj in Sarek Nationalpark. It will be interesting to follow some other packrafters this summer too. Sabine Schroll will be packrafting in the north of Finland for four weeks, on and around the big inner lake Ivalo. And then there’s Jörgen Johansson with its epic plan to packraft the South Nahanni river in the Mackenzie mountains of arctic Canada, a region which looks to me as one of the most beautiful on the entire planet. I’m also looking forward to the upcoming trip of Steve and Katrijn from Belgium. They are going to spend a few weeks on the east coast of Greenland after a smaller trip on Iceland (only hiking). Also check out the latest packraft trip of Hendrik, the new packraft blog of Marc & Sven and the Scotland trips of David and Chris! Finally packrafting seems to become more popular in Europe. Enough for now, let’s pack and head to the north! Happy hiking and/or packrafting!